May is such a beautiful month. The whole month is dedicated to our Blessed Lady, Mother of God. The pious practice of honoring the Blessed Virgin Mary during the entire month of May has been especially recommended by many Popes. Mary is our loving mother. Her maternal heart is full of love and mercy for her beloved children. She is always waiting for us to turn to her for her motherly guidance. She constantly presents all our prayers to her dear son, Jesus. Mary is known as the “Gate of Heaven“. We need Mary to guide us to heaven so that we may not lose our way by falling into sin. 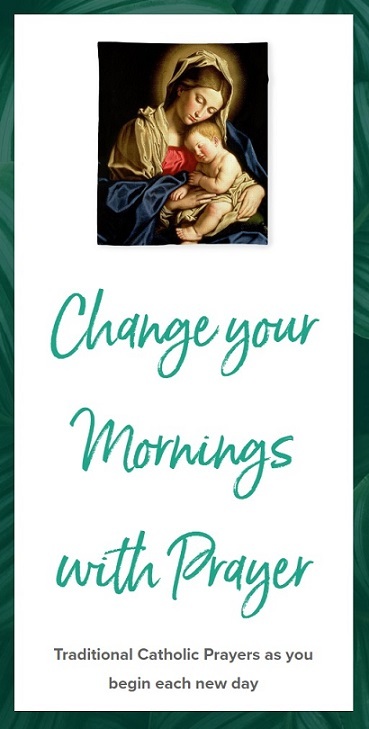 Just like our Pastor reminded us, we need to pray the Rosary every single day during the month of May. If you cannot pray the entire rosary with dedication, pray at least one decade with all your heart, and if a decade is not possible, recite at least one Hail Mary with complete devotion. When we pray the Hail Mary, we ask our heavenly mother to intercede for us now and at the hour of our death. Yes, we need her powerful intercession during that fearful hour when all Hell itself will rise against us to grab our soul. Our merciful mother will help us during that fateful hour. We only need to pray to her without ceasing. Recite the Regina Coeli (during the Paschal Season) or Angelus (other days of the year) daily. Recite the Rosary daily as a family. Remember to meditate on each mystery and to pray with all your heart and mind. Recite the Litany of the Blessed Virgin Mary also known as the Litany of Loreto. Attend Mass on First Saturday of the month or if not possible, on any other Saturday to honor our Mother. Celebrate the Feast of Our Lady of Fatima on May 13th. You can pray a Novena to Our Lady of Fatima in preparation for her Feast. Get Enrolled in The Brown Scapular. Visit a Marian Shrine as a pilgrimage. 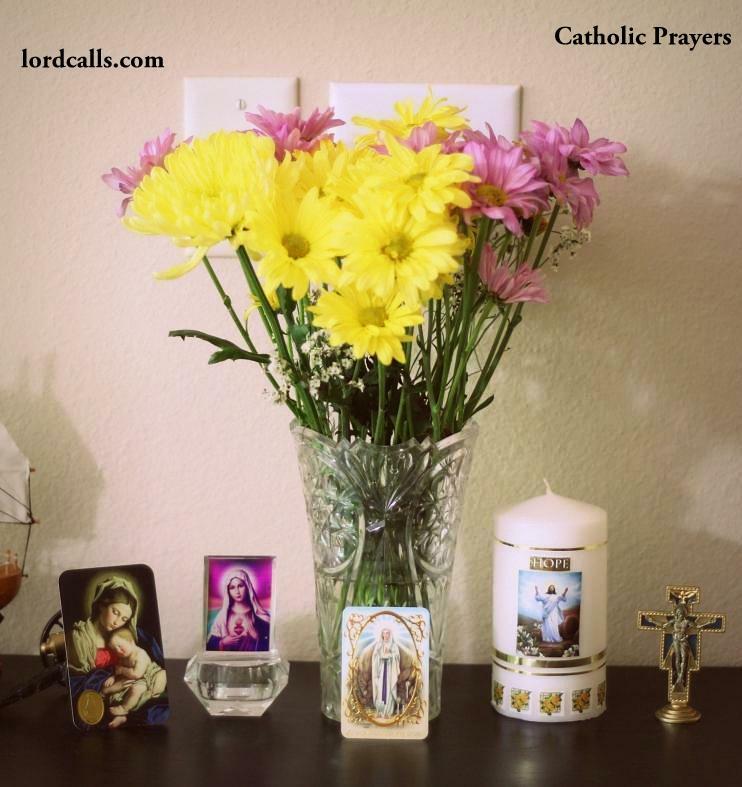 Prepare a Marian Altar in your home for the “Queen of May” with pictures/statues of Mother Mary and many flowers. 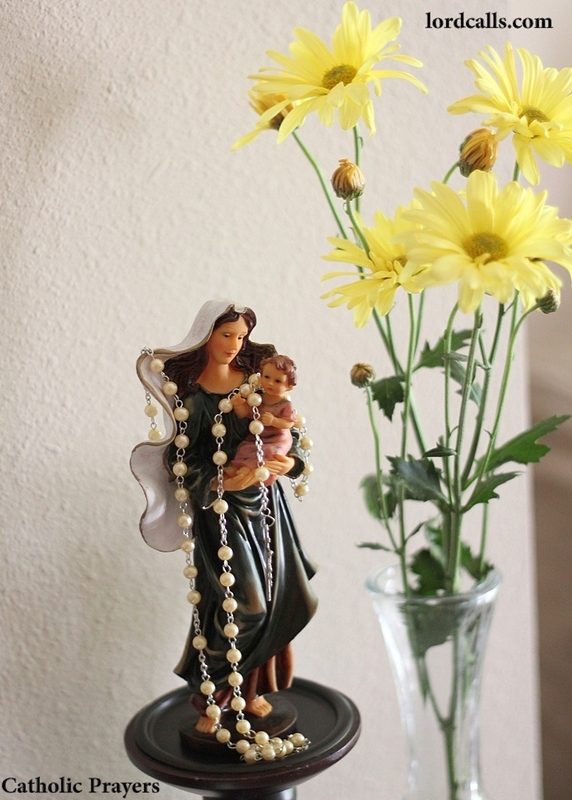 Celebrate May Crowning at your church or in your house by crowning a statue of the Blessed Virgin Mary with a crown of flowers. Celebrate the Feast of the Visitation on May 31st. Contemplate Mary’s ardent charity as she hurried to visit her cousin Elizabeth.